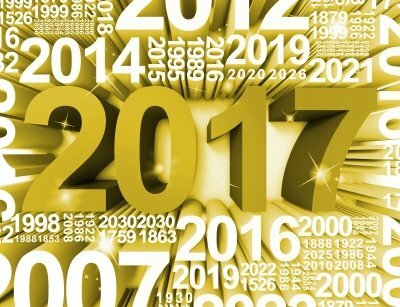 Did you take a New Year resolution to become PMP certified in 2017? If your answer is ‘No’ then you should add PMP certification to your list of priorities before the new PMP exam comes into effect. If your answer is ‘Yes’ then you should pursue the certification with more vigor before PMBOK Guide 6th Edition is released. 2017 is the year of change. PMI will release PMBOK Guide 6th edition and announce dates for new PMP exam in 2017. I would suggest you to get PMP certified before the changes happen. PMI will release PMBOK Guide 6th edition in Q3 2017. PMI released a draft version of 6th edition of the Guide in 2016. For few weeks, it was open for review and comments. Currently the Guide is going through final stages of review process. As per the PMI website, the Guide will be formally released in Q3 2017. – Project Time Management is renamed as Project Schedule Management. – Project Human Resource Management is renamed as Project Resource Management. – Manage Project Knowledge (part of Executing PG & Project Integration Management KA). – Implement Risk Responses (part of Executing PG & Project Risk Management KA). – Control Resources (part of Monitoring & Controlling PG & Project Resource Management KA). Six processes have been renamed. The Estimate Activity Resources process has been moved to Project Resource Management KA. The Close Procurement process has been taken out. The details of this process are captured in Close Project or Phase process. A new chapter on role of project manager has been added. Detailed information about agile and iterative practices has been included. Since the Guide is undergoing final revision, there could be some more changes before it is finally released. PMI is likely to administer new PMP Exam from Q1 2018. In one of the earlier announcements PMI said that the for certification exams (PMP and other exams) will be updated in 1st quarter of 2018. Later PMI removed this information from its website. Since then, PMI has not released any updated information about PMP exam change. For reference, you can look at the archived page from PMI’s website. Although it is fair assume that the exam will change in Q1 2018 one should be prepared for any eventuality. The PMP exam change can happen immediately after the formal release of the new PMBOK Guide. It can change as early as Q3 2017. So you should not take any chances and target to get certified before the third quarter. Apart from the uncertainty about the date of PMP exam change, there are many other reasons to do PMP exam early. Why Should You Do PMP Before Q3 2017? The uncertainty about the exam would increase after new PMP exam is introduced. It is easier to pass the exam when there is less uncertainty. Sometime in third quarter, book publishers would release new reference books and study guides based on new edition of the Guide. You may not be able to buy book(s) that are based on 5th edition of the Guide. The training companies would update their training courses and study material in third quarter. You may not be able to enroll into training courses that are based on 5th edition of the Guide. There could be last minute rush to schedule exam in the Prometric centers. You may not find suitable exam date. According to PMI Salary Survey, those with a PMP certification garner a higher salary (20% higher on average) than those without a PMP certification. It is better to do PMP certification soon to get the salary benefits early. There is one more reason to do PMP well before Q3. However, it is not part of the above list. I have not added it in the above list as I don’t want to discourage or demotivate you. But, the truth is that a small percentage of people fail in the exam. So, it is better to be prepared for the worst. In case you fail, you will need extra time to take the exam again. It is better to take an exam that is based on 5th edition of the Guide. You would need 4-12 weeks to pass the PMP exam. So, you should start your preparation today. You can start the preparation by downloading my free guide on How to Get PMP Certification? This guide will give you complete information about the exam. Good luck. Please leave a comment if you need any exam related help.